No matter how patchy your brows – or unsteady your hand – this completely fool-proof pencil is your ticket to immaculate arches. Featuring a non-sharpen, angled tip and a built-in blending spoolie brush, the super-soft colour glides on effortlessly for super-fast, unbelievably easy eyebrow enhancement. Completely waterproof, it stays for up to 12 hours and 94% of those tested said they created beautiful brows on their first try. Living up to its title, Benefit’s Goof Proof Eyebrow Pencil will save any seeker of brilliant brows – first timer or old hand – from catastrophe. The ingeniously angled, non-sharpen pencil tip allows you to scribble in sparse areas with easy strokes, while the built-in spoolie brush will blend your handiwork seamlessly. The pencil’s super-soft formulation glides on like a dream, filling and shaping with a subtle, natural-looking finish. Available in six shades (two light, two medium and two dark) you’ll be sure to find the colour to match and flatter your natural assets. Use the wide part of the custom goof-proof tip to fill and shape brows. Build colour with a couple of strokes. Use the pointed edge to define the “tail” of your brow. Blend with the spoolie brush. This eyebrow pencil is not 'goof proof'. You actually have to apply it in quite a precise, careful way for it to look natural, as the tip of this angular pencil is quite large so you have to be very particular about what angle you use. Most eyebrow pencils half the price of this even have more intuitive usability. It also slides around and smears a lot, not great quality. I haven't really ever done my eyebrows before but I bought this and I was amazing and made my eyebrows look so much better. As well as that the packaging is so pretty. I absolutely love this product, it makes it super easy to get a nice defined brow. The only niggle I have is that sometimes its really dry and snaps the pencil. But never the less, I wouldn't buy anything else! I always buy in shade 3 and I'm blonde, it doesn't make my brows super dark nor super light, its just the perfect shade for me. This brow pencil is my absolute favourite. It's soft which makes it easy to apply without pressing too hard and leaving too much pigment. I'm blonde and use shade 1, it looks super natural on me. I always used powder products for my brows, until I tried this. it gives a natural look and is so fast and easy to apply. I used shade 3 and have medium-dark brown hair and I find that it works perfectly. Lasts a long time too. First brow pencil that I have tried in a while but it is definitely a winner! Easy to use and gives a natural look. This gives me the most natural brows ever I am in love. So easy to use and there is a lot of product for the amount you use for each application. 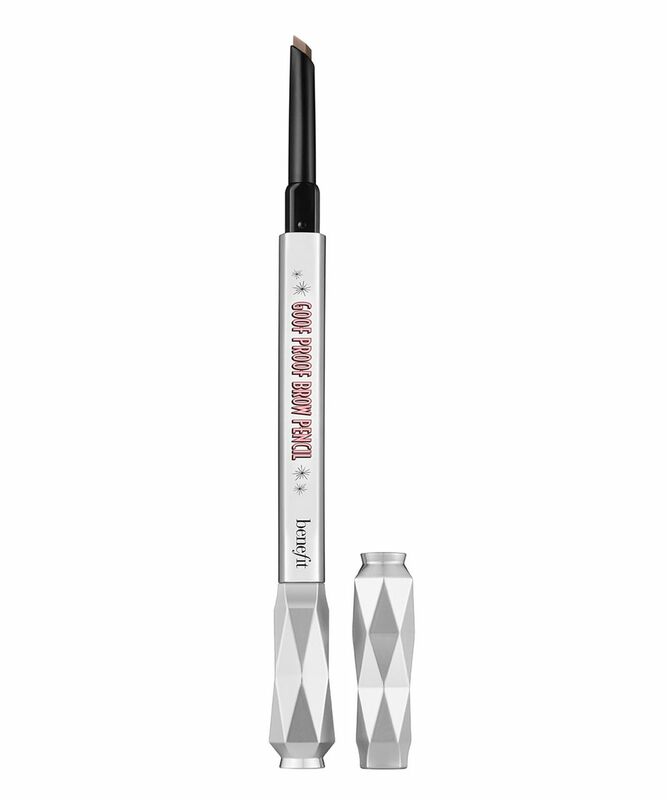 This pencil is amazing for making your brows fuller, darker and it also enhances your natural brow shape. Great for when you don’t want to spend a long time filling in your brows. This is such an easy product to use, the spoolie that comes with it is actually really good and grabs all the brow hairs. I also like it because it is pigmented without being too pigmented (if that makes sense) and will take about ten seconds to get a nice brow. Not to mention, the packaging is really pretty and doesn’t feel cheap at all.